2 Bedroom Flat For Sale in Stafford for Offers in the region of £130,000. Bridgfords are pleased to offer for sale this extremely well presented, two bedroom, detached coach house situated in close to proximity to the town centre of Stafford. The property offers open-plan living in the Lounge/Dining Room and Kitchen, two Bedrooms, and a Bathroom. It further benefits from gas central heating and UPVC double glazing. The property also comes complete with a garage. 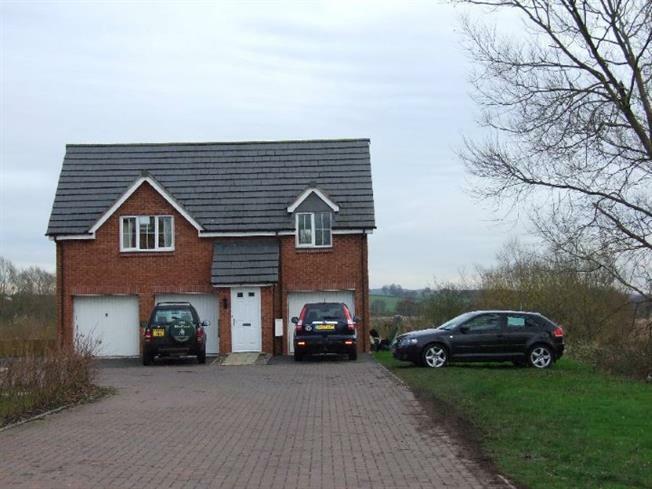 The location of this property is adjoining fields to the side and the rear and is situated in a quiet cul-de-sac. The county town of Stafford is served well by both rail and road links. The town centre provides a wealth of shops and restaurants, as well as an art gallery and many civic buildings of historic interest. Stafford is on the edge of Cannock Chase along with the ancestral home of Lord Lichfield, Shugborough Hall.